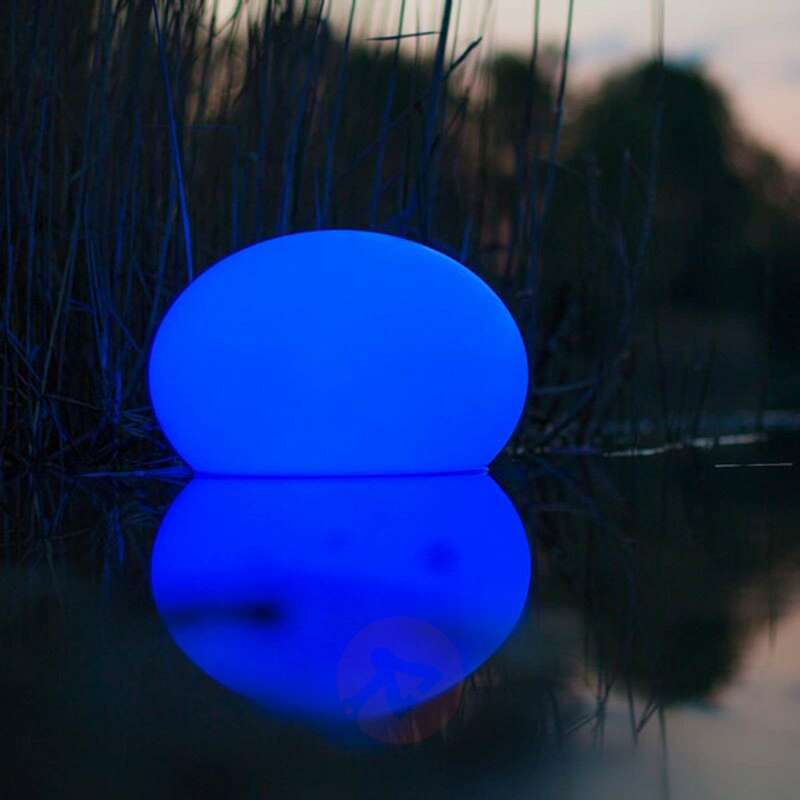 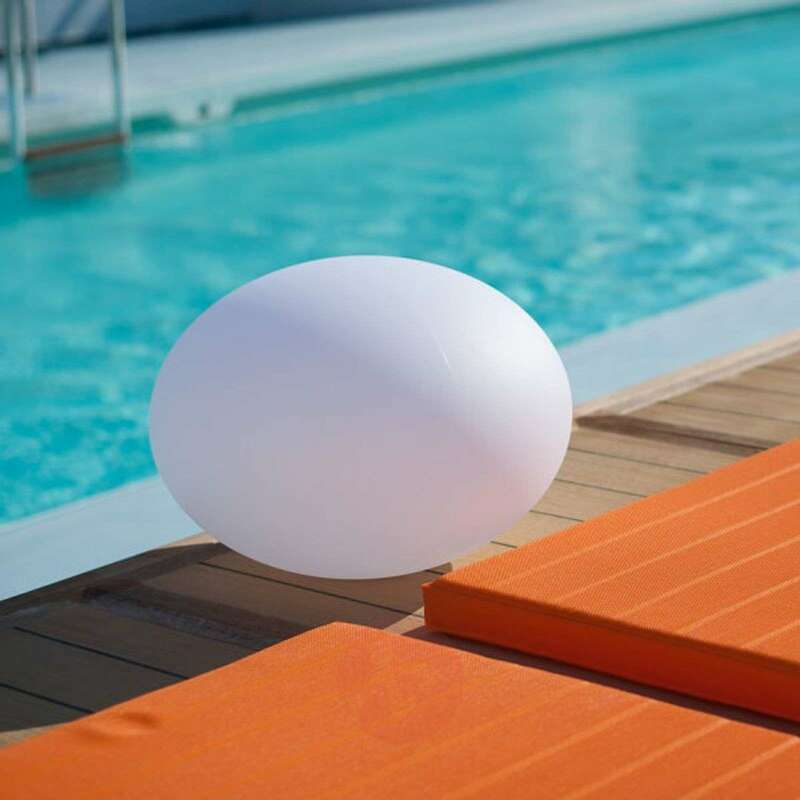 Completely waterproof and therefore also suitable for use in a pond or a pool and with tremendously flexible and versatile lighting possibilities via the free app (Smart & Green) - the decorative light Flatball is an eye-catching highlight in any garden. 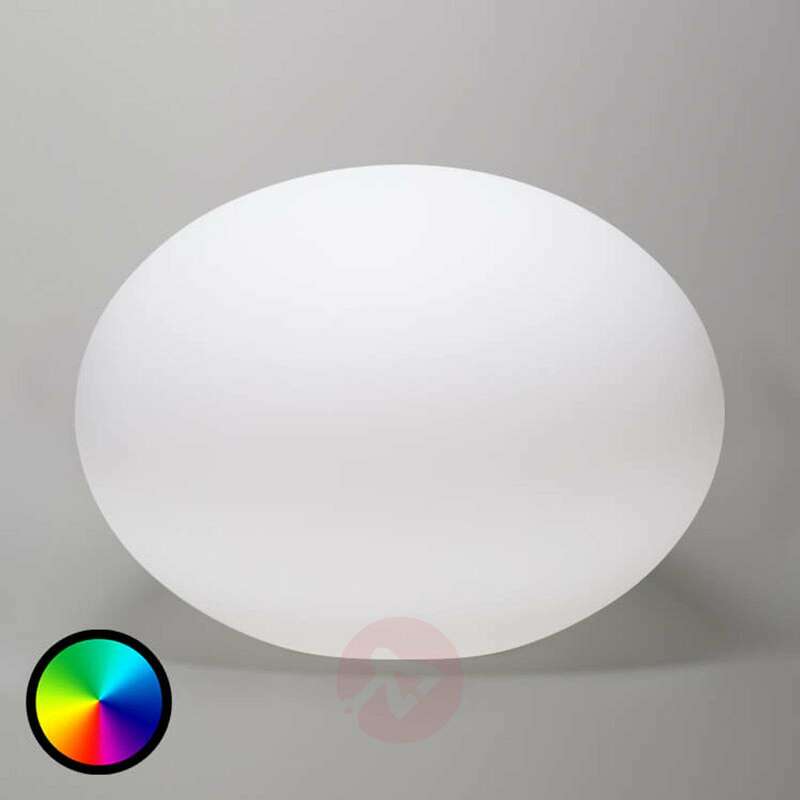 The body is made of white, impact-resistant and UV-resistant plastic and is lit up by RGB and white LEDs inside it in a wide variety of colours or lighting modes. 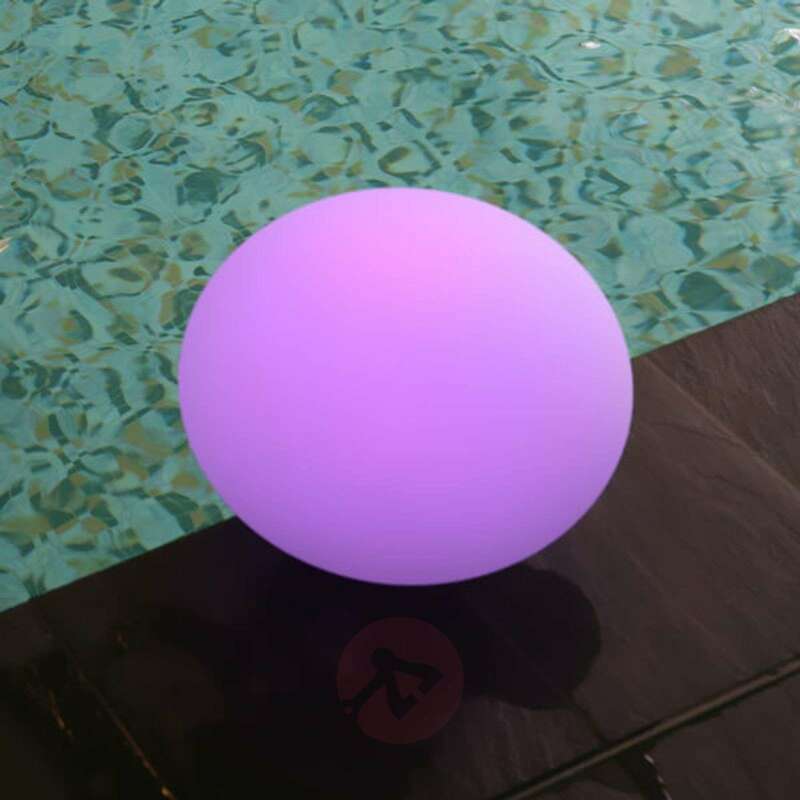 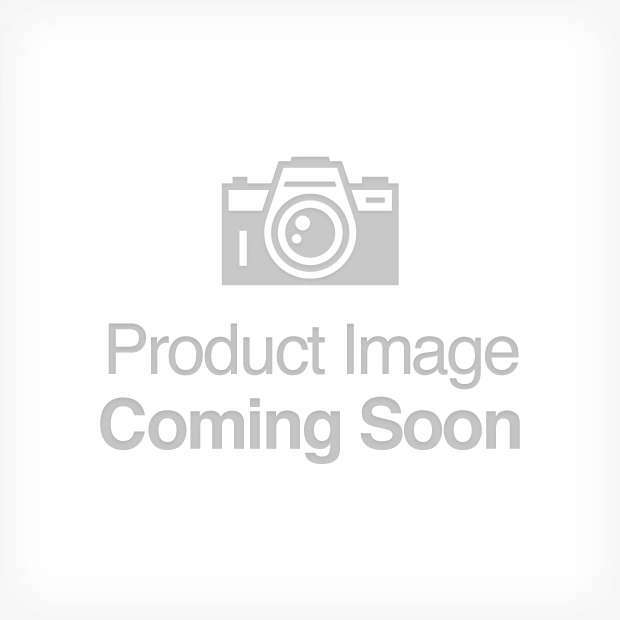 If you do not want to control the light via a smartphone or tablet, you can also choose between seven different luminous colours and three different lighting modes via the operating buttons integrated in the base of the lighting unit.